This project comprised a desk-based study of aggregate sites the in north-west of England. The study covered the counties of Lancashire, Greater Manchester, Cheshire and Merseyside. The study was undertaken to identify and quantify archaeological projects arising from aggregates extraction which currently have incomplete or inappropriately low levels of dissemination. The study was concerned with the extraction of aggregates from both hard rock (crushed rock) and soft rocks (sand and gravel). 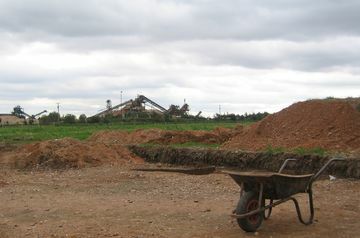 The project was funded by the Aggregates Levy Sustainability Fund (ALSF) administered by English Heritage. The study covers the north-west region of England, comprising the counties or metropolitan boroughs of Cheshire, Lancashire, Greater Manchester and Merseyside. Cumbria is not covered by this study. The region is geologically diverse, and aggregate deposits are also varied, coming from hard rock and soft rock sources.